The acceleration out of corners is crazy. Very perceptible. The video is almost cartoonish. Well roon, real big engines do easily beat it, & in motorsport, hard-tuned Reno air-race machines do too, of course.. Yes, cargo ships decimate this figure. I should have said: 180hp per cylinder is uncommon for a road car outside of drag racing. Looks like they extended the side skirts for their Spa run. Bonus points for those who can explain why the compressor has 3 pipes entering it from the airbox. Multi stage? BOV returns? Seems to have a microtube water radiator in the left sidepod. I see no oil radiators. I have seen an information that 919 evo has rear axle steering, but I cannot find it again to confirm the source. Is there another term for 'brake migration' control? Brake bias dependent upon pedal force/travel. It's a brake bias that changes with speed. F1 used to have brake migration if I remember correctly, although that was purely hydraulic brakes. In the hybrids, I think the system changes the amount of brake energy harvesting to maintain balance as speed drops. On a slower note. The new Aventador SV Jota vs Porsche GT2 RS. TOO bad they couldn't synchronise the two vids properly. It's very very easy headlines for porsche,and I dont like that. Porsche 919 is damn dumptruck. 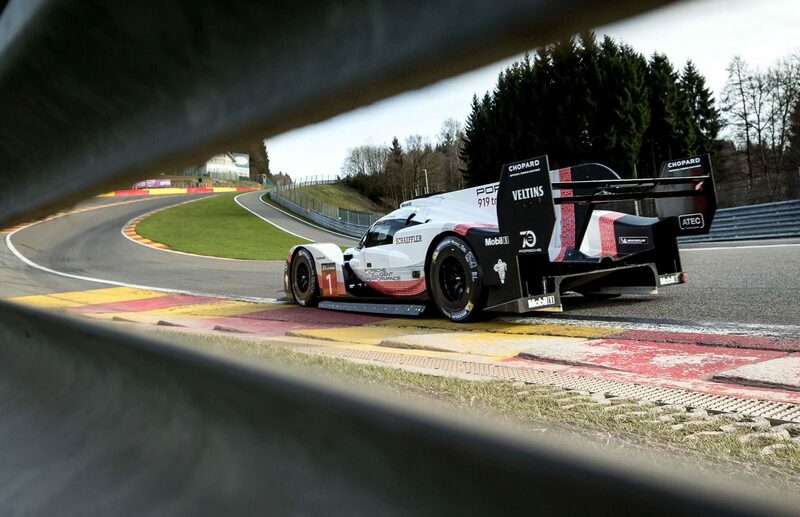 So I am happy that a F1 team heavyle bounded by rules, show the world that 919 is just a piece of ---, and nothing more than cheap way of getting attention. Porsche did some maths and was like hej, this is easy attention. Well good its short lived and cleaned up. If ppl want they can make car that looks like a batmobile, and is twice as fast as any know car on those circuits. But there is none interested, so there no competition.